In support of United Way of the Lower Mainland. UBC Applied Science is hosting the inaugural Turkey 2-Part Tourney on Oct 11! “Ohhh, no more Turkey 2K?” you say? You got it. We’re trying something fresh and new! This year, faculty, staff and students will come together to compete in a 2-part game show and raise funds for the United Way of the Lower Mainland. You’ll compete as a team to test your smarts, speed and skills in trivia and *mystery* games against other teams in our APSC community (don’t be scared, the games are actually fun. Trust us, we’ve tried them — there was lots of yelling). This event gives us the opportunity to make an impactful donation to the United Way of the Lower Mainland and contribute to the programs serving those in our community that need a hand. All the funds that each team raises will contribute directly to their points during the tourney, so get fundraising! As you may know, United Way of the Lower Mainland is a non-profit organization that supports vulnerable seniors, families and children across the Lower Mainland and Fraser Valley. Last year we invested over $32 million in our community to support more than 300 programs and services in partnership with 150+ agencies. The University of British Columbia (Vancouver and Okanagan) has been the top contributor to United Way for many years. Since 2009 UBC has consistently raised over $500,000 in support of the local community. This year the campaign goal is to increase participation, growing to 1000 donors on campus. Make sure to show your local love and be a part of our thousand-strong donor community here at UBC! At UBC we are very proud of our 42 year United Way partnership that continues to help support children and seniors in our community. 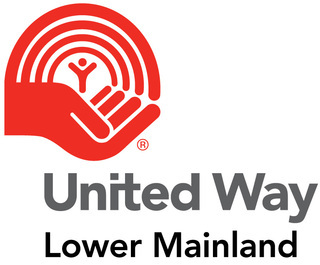 We have one of the largest United Way campaigns in the Lower Mainland. We have accomplished so much and grown in many ways this past year establishing our new UBC Vision, “Inspiring people, ideas and actions for a better world.” Our new Strategic Plan identifies our commitment to lead locally and support the well being of our broader community as one of our 10 priority goals. Let’s show our local love and make 2018 one for the books!